Filmmaker David Sutherland spent 3 years at the David School chronicling the lives of two at-risk adolescents grappling with and overcoming daunting emotional and physical obstacles related to their unique family lives and the economic circumstances of this region. At the same time, their individual stories offer valuable insights into the universally complex problems that face all teenagers and those who love and support them. 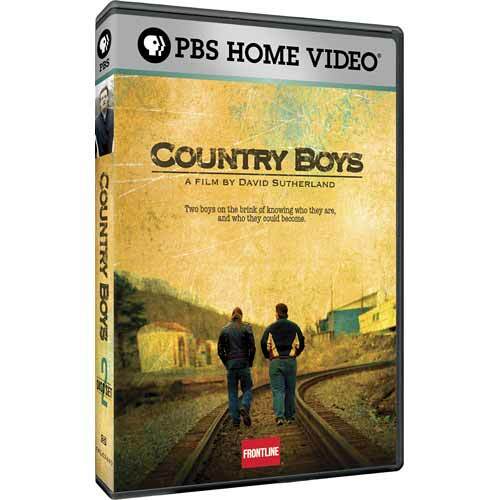 Watch Country Boys online at PBS.com! It is an unwritten rule that the poorest of the poor do not exist on television until a Hurricane Katrina or a West Virginia mine disaster forces cameras to notice. But then a fresher story comes along and it's back to ignoring them. As for a look at the lives of working-class teens -- no thank you. American audiences prefer their teenagers to be rich, spoiled, beautiful and unreal. One night of David Sutherland's six-hour film "Country Boys," a special "Frontline" presentation airing 9 to 11 p.m. tonight, Tuesday and Wednesday on KCTS/9, provides a fantastic antidote to all that, and cuts a lot closer to the typical teenager's truth. Not to mention that Cody Perkins and Chris Johnson's personalities are vastly more compelling than those of their cable television counterparts. "I know grown-up pressures are problems," Chris observes, "but teenagers have 'em too." The most obvious difference, among a football field's worth, is that as Sutherland follows these Appalachian teenagers for three years, there's no question that what we're seeing is completely unpolished. Teenagers of every stripe attract drama; that's what makes them such perfect candidates for television. But Cody and Chris' struggles truly make them walk the razor's edge between success and utter socioeconomic failure. Sutherland kept track of the pair from 1999 to 2002, when the boys were between 15 and 18 years old and attended the same alternative school in David, Ky. In three two-hour segments, their destinies take markedly different shapes. Cody, a mumbling kid who cracks wise with a deadpan delivery, is a born-again Christian with a death-metal band. God, he says, helped him survive his parents' deaths, especially that of his dad, who murdered Cody's stepmom before turning the gun on himself. Make a snap judgment based on his looks --black finger polish, piercings -- and tragic back story, and Cody looks like he may not make it. Chris, after all, has both parents in the picture. That's to his detriment. His father's alcoholism is so severe that he can't work; he drinks away every cent put into his hands. Chris' mother has to swipe the man's Social Security check so the family can afford a new trailer. She cleans hotels to bring in money, but doesn't support her kids in any emotional sense. To her, Chris is another Social Security check available until he turns 18. Cody, on the other hand, has plenty of support from his step-grandmother Liz McGuire, with whom he lives; from his girlfriend, whose parents treat him like a son; from his maternal grandparents, his pastor and his band. Cody has his music and his girl, but is just as busily hammering out his own take on Christian philosophy. He's a kindhearted kid whose journey is more of a gradual evolution -- discovering, for instance, that memories of his father as a cool best friend are alarmingly different from the criminal records cited in newspaper articles. He reads these for the first time as the camera rolls. "Nobody tells the kid anything," he mutters bitterly. Meanwhile, Chris has no one but the teachers and principal of The David School, whose encouragement can only take the boy so far. He has potential that's not just untapped, it's blocked. He delivers such eloquent soliloquies that it's frustrating to see him sabotage himself. When he decides to start a school newspaper in part one, he believes he's terrible at talking in front of large groups -- clearly he's not -- and he lacks the leadership abilities to pull it off. But he goes ahead with it anyway. "This newspaper gives me meaning," he says. "To hell with glory. To hell with people noticing me. All I care about is having a meaning in life." But whenever he starts something, he finds an excuse not to finish it and blames his home life. That may be typical of adolescence, but Sutherland makes it look particularly disheartening here. It doesn't help that Chris' mother, a high school dropout, validates every stumble off track; she'd rather have him work a minimum-wage job than finish school. The only flaw in "Country Boys" is that it may be two hours too long. Still, Sutherland, who made the critically acclaimed series "The Farmer's Wife," makes "Country Boys" more than a rural American tragedy. While he took great care not to perpetuate insulting myths about Appalachia, he's not treading on eggshells or romanticizing the surroundings. Even the most beautiful shots don't gloss over the hardscrabble nature of David or its people, but there's always hope and light in the midst of every bit of devastation. THE slow-rolling, rural ways of eastern Kentucky's mountainous region, twisting through the heart of Appalachia and the minds of the people who live there, can be difficult to navigate. For a boy like Chris Johnson, whose family could barely stay afloat in the wake of his father's alcohol abuse, they were nearly impossible. For a boy like Cody Perkins, whose mother's suicide left him in the care of a father who later killed his seventh wife and himself, they were hard to even comprehend. "Country Boys," a three-part documentary produced by David Sutherland, WGBH/Frontline and the Independent Television Service, follows Mr. Johnson and Mr. Perkins throughout most of their high school careers. 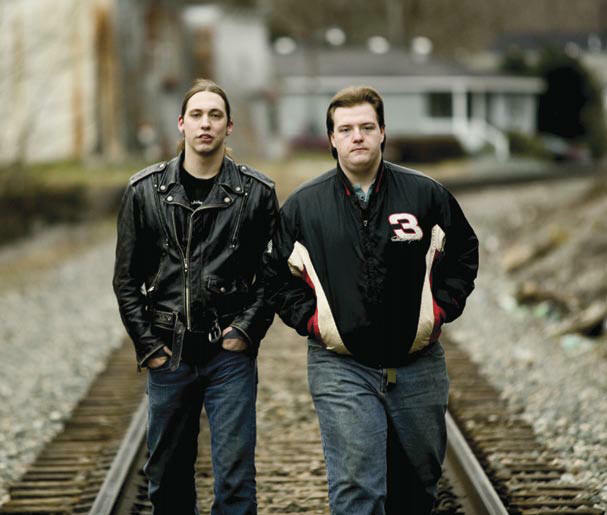 It starts in the fall of 1999, when both boys began attending the David School, an alternative high school for troubled teenagers in David, Ky. For three years, Mr. Sutherland, who also wrote and directed the film, and his crew followed the young men on their sometimes heartbreaking, sometimes heroic paths to adulthood. One, weighed down by his family's needs, barely made it out of high school; the other was the class valedictorian. "Both our stories are really different," said Mr. Perkins, who is now 22 and planning to release a CD of his Christian rock music in February. "But I think the common thing between them is, 'Don't give up on things; don't let anyone put down your dreams no matter how big or small they are.'" Mr. Sutherland said a pivotal tool for immersing viewers into these boys' lives was something most people don't think about: sound, captured through multiple microphones and careful editing. The goal, he said, was to make you feel "like you can hear them breathing and sighing from a hundred yards away." This technique was also used in "The Farmer's Wife," Mr. Sutherland's acclaimed 1998 film about a rural Nebraska family. Both films, he said, "get you really close up." Living in the presence of many cameras and microphones for three years may seem a little awkward, yet the unsettling part for Mr. Perkins, whose band, Seven Rise Up, is seen in the film, was the point at which the cameras were finally turned off. "I kind of started to miss it," he said. "I'd gotten so used to them being around." Even Mr. Johnson, who found his first interview somewhat intimidating, told "Frontline" that he had "felt a little lonely" once the cameras were gone. For Mr. Sutherland, the filming was only half the battle, if that much. The editing process - which he approached the old-fashioned way, with more than 200 interns -continued for another three years. And yet, he said, he "never had a message." He said he just wanted to "make kids think about their own lives" and older people "think about the possibilities, about what kids are going through." January is National Mentor Month, so it's probably no accident that "Raising Cain," another PBS documentary about boys in America, will be shown on Thursday, the day after "Country Boys" ends. Michael Thompson, a child psychologist and co-author of the book "Raising Cain: Protecting the Emotional Life of Boys," is the host of the program, which looks at the challenges that arise at different stages of development, not just from boys' natural tendencies but from the stereotypes assigned to them. "People believe that boys are either wild animals who have to be controlled, or they're treated like princes," Mr. Thompson said. "If you think they're wild animals, you're afraid of them. And if you think they're princes, you don't hold them morally accountable." Mr. Thompson consults with social activists, researchers, educators and other psychologists about the issues facing boys today, from inadequacies in the public school system to the need for strong role models. "I hope what people see is how direct and open and communicative boys can be," he said. "I hope that people come away thinking that there are lots of ways to be a man."